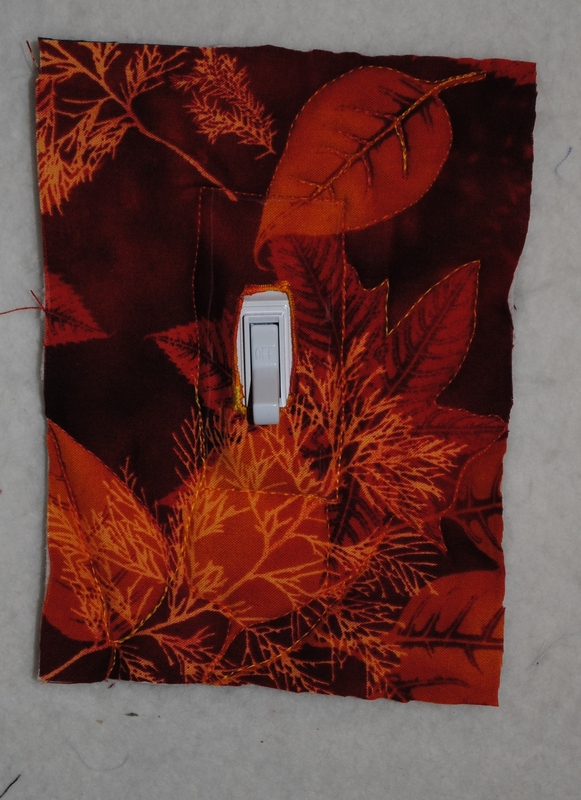 Week 17 of my journal quilt project in 2011 (September 15th) was when Fall really hit. I mentioned last week that the leaves in Western Mass. start turning at the end of August, but the weather generally stays warm and gorgeous into September. However, this week in 2011, it felt like someone had flipped the Fall switch and the cool weather came rolling in. In case someone wonders why I have lots of spare screws and extra hardware parts that never got used, here’s the answer: you never know when you’re going to want a switch to put into a quilt! Fall journal quilt switch Western Mass.